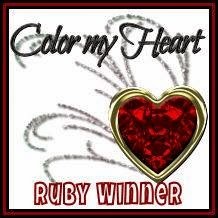 First, an announcement: I applied to become a member of the Heart 2 Heart Challenges Design Team and I was selected! Woot! So, you'll be seeing H2H posts from me very often. 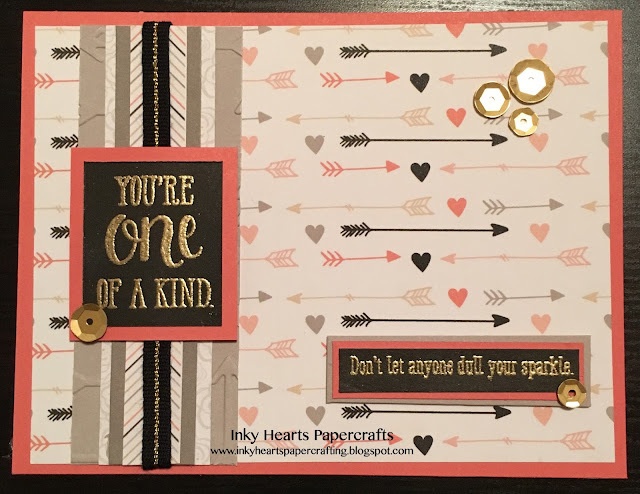 Be sure to visit the Heart 2 Heart Challenges Blog and play along with us! The challenge this week is to use the number or word one, or the concept of first, in your project. Here is the project I created for this challenge. X7205B Charlotte Paper Pack - NEW!! Z3197 Black & Gold Ribbon - NEW!! 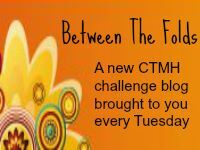 I hope you'll play along with our challenges each week!! Welcome to the design team, Terrie! I love the gold embossing on the black cardstock. It really makes your sentiments stand out. The color combos in Charlotte are just gorgeous!